This is a fantastic alternative to dairy milk with a rich smooth flavor and a bit thicker than commercial alternative milks. It is great for breakfast cereal, coffee or just a satisfying beverage to drink. Optional: 1/2 - 2 tsp vanilla; 1/8 - 1/4 cup sweetener (agave nectar, maple syrup, brown rice syrup). Soak the almonds, rice and oats for 4-6 hours in enough water to cover by 1-2 inches. Drain and rinse. Place in a soy milk maker and add water to the line (about 6 cups). Place the soy milk maker in a pie pan in case it boils over. Attach the lid, plug it in, and press either the "Rice" or "Soy" button. It will take about 12-15 minutes. When the machine has finished the cycle, unplug, remove the lid, strain the pulp from the liquid, and add flavorings (if desired). Let it cool and transfer the milk into a glass container or pitcher. It will keep in the refrigerator for about a week. After the almonds, rice and oats have been soaked, drained and rinsed, put them in a food processor or blender. Add about 1 cup of water (to just cover the almonds/oats/rice), and grind until it becomes a slurry -- or like cream of wheat. Put the mixture with the rest of the water (5 cups) into a large stock pot. Bring it to boil, lower the temperature to simmer, and cook, stirring occasionally, for 12-15 minutes. Strain out the pulp, add flavorings (if desired) and let it cool. 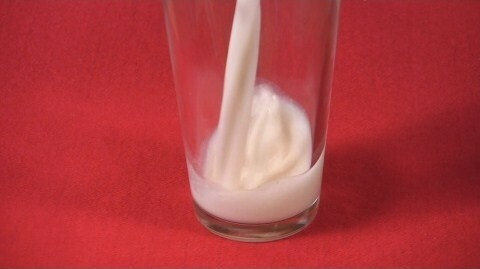 Transfer the milk to a glass container or pitcher and keep in the refrigerator for about a week. Cocoa powder, carob powder, almond extract, hazelnut extract. *Check package ingredients for gluten-free oats.